‘The assumption is that the lines have been drawn and the two sides (India and Pakistan) have gone to battle. All of us, whether analysts or politicians or citizens or cricketers or housewives, must see the other side as an enemy and must reject everything it says or does even if we gain nothing from it. ‘I am no longer able to subscribe to this stupidity,’ says Aakar Patel. It is not easy being a television analyst in times, such as they are now, when India is at war with Pakistan. Not a real war of course, because we can no longer have such a thing after the mindless fireworks of Pokhran and Chagai. I mean this childish sparring over whether or not we should have talks. To me it is difficult to understand why we are stopping people from meeting in this day and age when they can communicate whatever they want to over Skype and telephone and email and the rest. But perhaps I do not understand the subtleties of international diplomacy. What appears to me to be stupidity and stubbornness might well actually be some stroke of Chanakyan genius. Anyway, what I was saying was that it is not easy to be an analyst in these times when one is independent-minded. It is not possible for me to take the party line or the national line as seems to come so easily to others in the studio. To me fact and context are important. I was blindly nationalistic for a long time but one matures as one reads and encounters the world. One understands the nature of regional nationalism as being zero-sum. Meaning I can only win if you lose and are seen to lose, and any benefit to you necessarily comes at a loss to me. 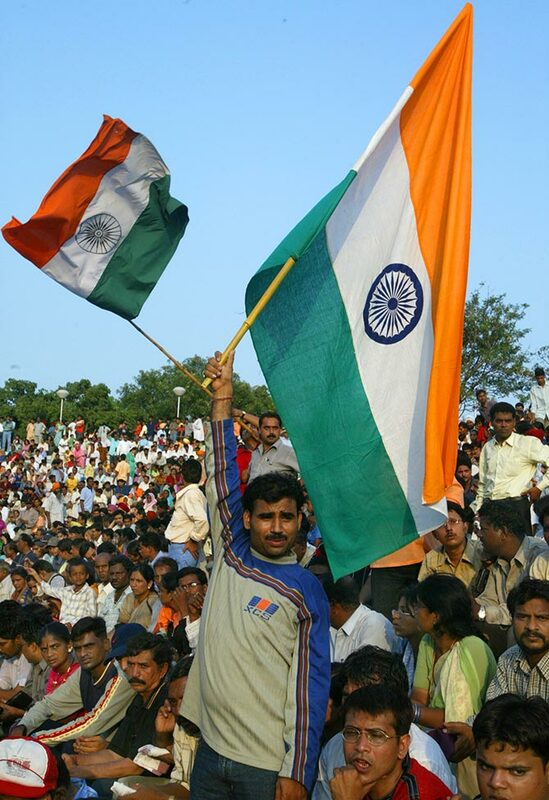 What is the nature of our nationalism here in India? It is anti-Pakistan and anti-China. It does not allow for nuance or shade. We have to fully subscribe to it or be seen as defiant if not outright hostile. We have always to be anti-Pakistan even if there is damage to us or no benefit to India in such a position (and there is zero benefit to India in not allowing old Sartaj Aziz to meet the blowhards of the Hurriyat). We belittle India, ‘the world’s largest democracy’ as we do not tire reminding people, when we lock up our own citizens for fear that they will gossip with the enemy. We show ourselves as not a confident republic by such actions. This must be obvious to the most closed-minded analyst. And yet to say this on television is to elicit gasps of astonishment and accusations of being anti-national. The other thing is being labeled when one holds a particular view in a particular instance. This comes from our conviction that all of us are dyed in some sort of ideology that cannot be escaped through logic and reason. We loosely use terms like ‘left’ and ‘liberal’ and ‘right’ without properly understanding them. I suppose one reason is that we have categories which are based on hate, like Hindutva, which offers nothing positive to Hindus, only anger and bitterness against Muslims and Christians. People who have this sort of hatred will find it difficult to separate their mindset and their emotion from the issue at hand, whatever it may be. But why must we all line up in agreement behind them? I do not and cannot. One anchor said during the debate that ‘we all are agreed in the studio that Pakistan is to blame if the talks collapse’. But I was not agreed. It was just assumed that because this was an India versus Pakistan issue, all Indians would or should back the government position. This entry was posted on Tuesday, July 31st, 2018 at 00:01	and is filed under Uncategorized. You can follow any responses to this entry through the RSS 2.0 feed. Both comments and pings are currently closed.